The start of Canada’s $1 stamp. No joke! But it is also a return to “Slice of Life Tuesday” . 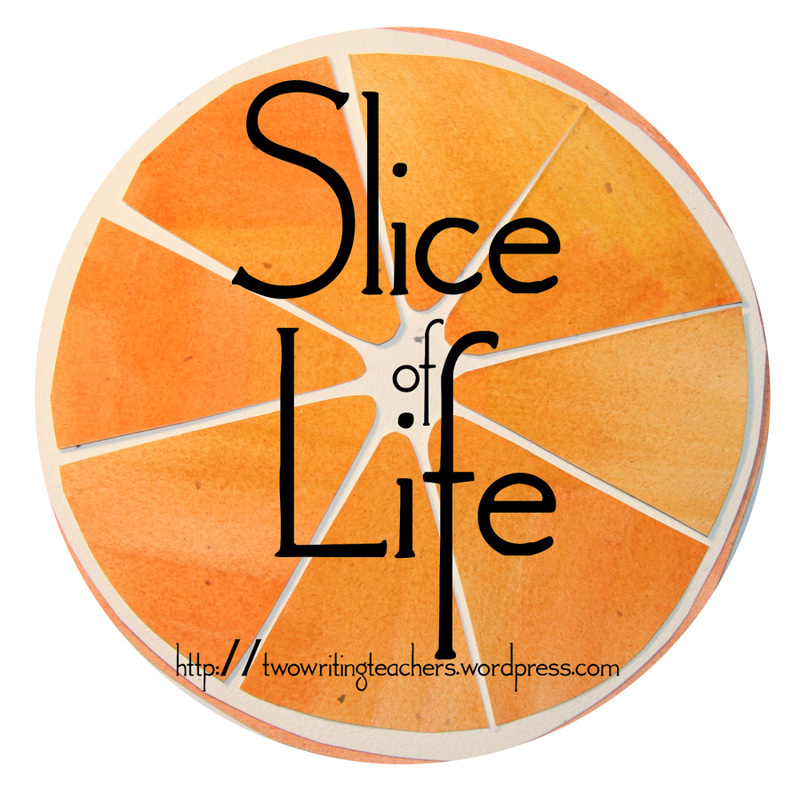 After a month of daily slicing, it is a return to the weekly slice at “Two Writing Teachers”. This is also the start of a couple of new challenges for me. One is to write a middle grade novel in a month. The other starts April 7th – ROW where we set goals and check-in weekly to post about goals met. For me, though, the most important goal is to seek healthier habits. In the past year, I have started and stopped many healthier living challenges, only to fail after several days. I have lost a few pounds and then gained them back several times. I have been successful with staying lactose free and although I know being glucose free helped my stomach, I couldn’t stay away from breads. I even started a blog about a new healthy journey and did fairly well for awhile. Here I am at 62, 25 pounds overweight, higher cholesterol than I should, bad knees, weak willpower – but a desire to be healthier. The more I feel bad about my setbacks, the less I succeed. When we are given advice about writing, it is to just write. I need to do the same with healthier living – just do it – one day at a time. I aim to record my food intake and move more. Here’s to new beginnings – one day at a time. I love this quote – definitely one worth posting and remembering. I think food challenges are the most difficult. There is an almost constant barrage of temptations. I have made many food rules for myself. Some I’ve been excellent at following (no soda, no McDonalds/BK/KFC for the past 8 years). Others (consume white flour only twice a month) I gave up on. I wish you lots of luck with your challenges! Thanks Lee. I know – we can’t do without food. makes it more difficult when you’re addicted to breads and sweets! One day at a time. One little step at a time. Wishing you the best for your challenge to write a novel in a month. Wishing you persistence in making the change toward being healthier. Cheers to new beginnings! Thanks Terje. I think that’s the secret – just take it one step at a time. A worth-while goal, Beverley, to take one day at a time & be healthier. Great to hear about a way to ‘check-in’ too. And good luck with that novel, too! Wow, both are terrific goals! Thanks Linda. Hope to move forward with both this month. Bev, I too struggle with taking care of myself. I have never been able to figure out why I just don’t do it!!! I love the quote. Thank you for the inspiration. Maybe walks everyday…..keep me posted. You inspire me to just DO IT! Thant’s exactly what I think too – why can’t I just do it??!! Well, made it through day 1. Even had 20 min. of walking – to and from the library. Felt good. Great quote! One day at a time- for sure! You can do it!!! Thanks – I got through the first day! One day at a time.